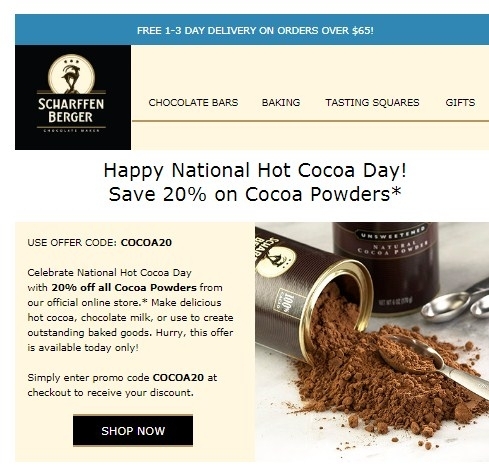 Veronica Stewart Save 20% Off on Cocoa Powders at Scharffen Berger. This offer is working properly. Just copy and paste promo code COCOA20 at checkout to claim your discount. Today only.